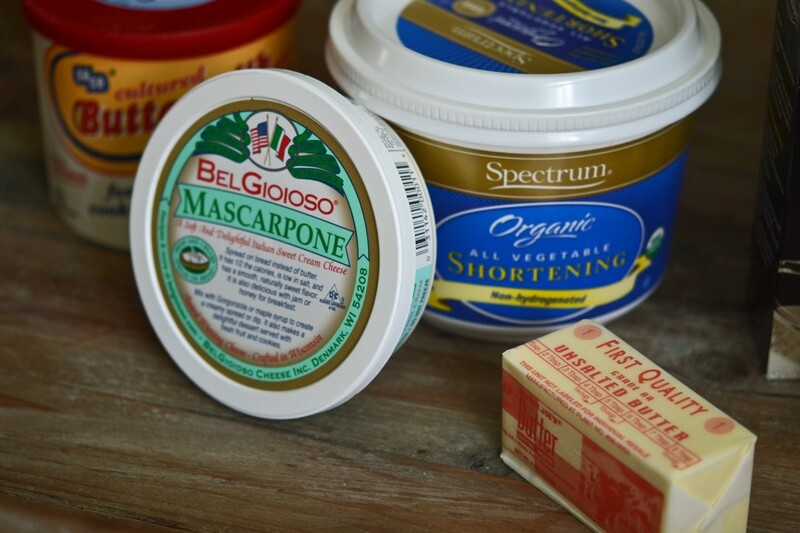 Baking Ingredient Substitutions | Great gluten free recipes for every occasion. Substitution questions have become the bane of many a food writer’s existence. Some prominent bloggers have decided categorically that they simply can not answer individual substitution questions. Don’t judge! I certainly don’t. It can easily feel like a fool’s errand to try. After the substitutions often come the accusing questions: I made your recipe, and it didn’t work!! You made me waste ingredients! What happened?? Every reader is certain she “followed the recipe to a T.” But make no mistake. That’s almost never the case. But there’ll be no finger-pointing here. It’s just human nature. Even friends who make my recipes make changes, and then wonder why the recipe didn’t turn out. We all have habits in the kitchen. Some avoid dairy, so automatically translate “butter” as an ingredient in a recipe for “margarine” without a second thought. But in baking, everything matters. Sometimes a little, sometimes a lot. Know what else matters? That my recipes are all pretty exhaustively tested. For each recipe I post, on average I have failed twice before succeeding. And then a success must be repeated at least once before I can share the recipe with you. That’s a lot of recipe-testing. So if the recipe is made as written, it will work. If you change things around, it might not work. And that’s a fact, Jack. I know you understand that I can’t possibly test every substitution. I’m but one lady. A one-woman band. If I had a team, then maybe. An intern! I need an intern! For now, it’s just me, doing my very best. Here’s the good news about baking substitutions: there are tons more super fabulous substitutions for things than ever before. Then there’s the bad news. It still matters. But (more good news!) sometimes not a whole lot. 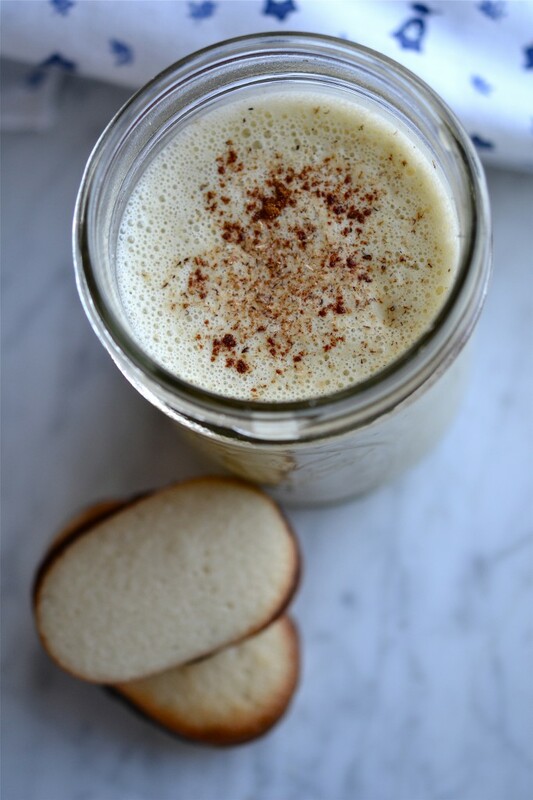 Like in this recipe for Dairy Free Egg Nog, you can see how being dairy free doesn’t mean you have to shy away from a recipe that calls for sweetened condensed milk. But sometimes it matters so much that it’ll just break your heart. Like Puff Pastry. Gluten-free or otherwise, puff pastry simply cannot be made well without butter. Shortening is missing two important things: flavor, and sufficient water content. Margarine? Too high a water content. It will leak all over your oven. Then there are those ingredients that may seem pretty easy to switcharoo, but really? You can’t. Like Dutch-processed unsweetened cocoa powder and natural unsweetened cocoa powder. Dutch-process is the process by which the natural acidity of the cacao beans that are used to make the cocoa powder is first neutralized. Natural cocoa powder is simply pulverized roasted cacao beans, which have retained their natural acidity. Natural cocoa powder is what is widely available in the U.S., making it much more affordable. 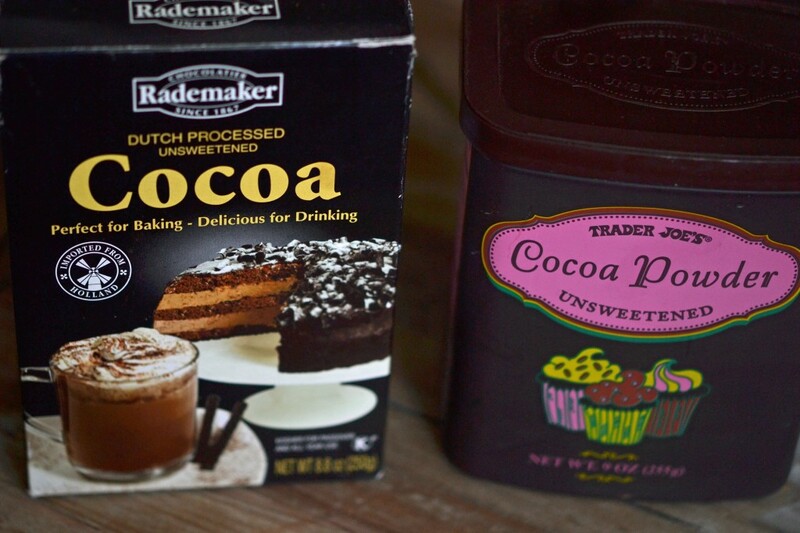 Dutch-processed cocoa powder is harder to find (most U.S. grocery stores don’t carry it), and is much more expensive. Although some of the recipes in my cookbook call for Dutch-process, I try to avoid writing recipes that call for it – for reasons of both price and availability. 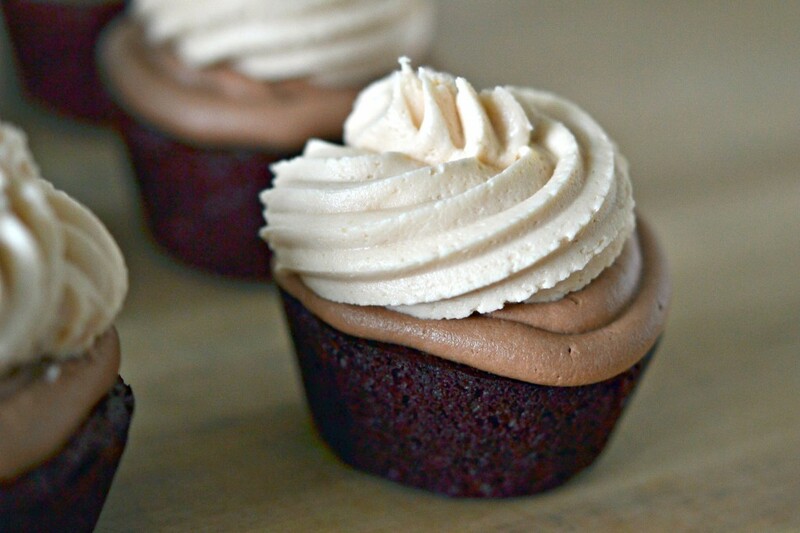 Case in point, these Rolo Cupcakes. I won’t go into all the boring details about how I balance the acidity in natural cocoa powder (usually with baking soda), but suffice to say that when a recipe calls for one over the other, do as it says or use another recipe. Then there are other ingredients that are relatively easy to replace. Like ghee or clarified butter. 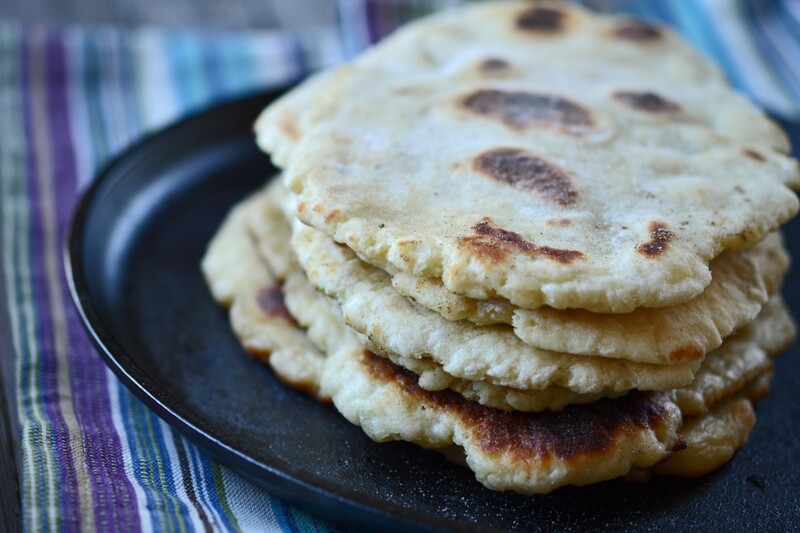 I use ghee in my recipe for Naan bread. 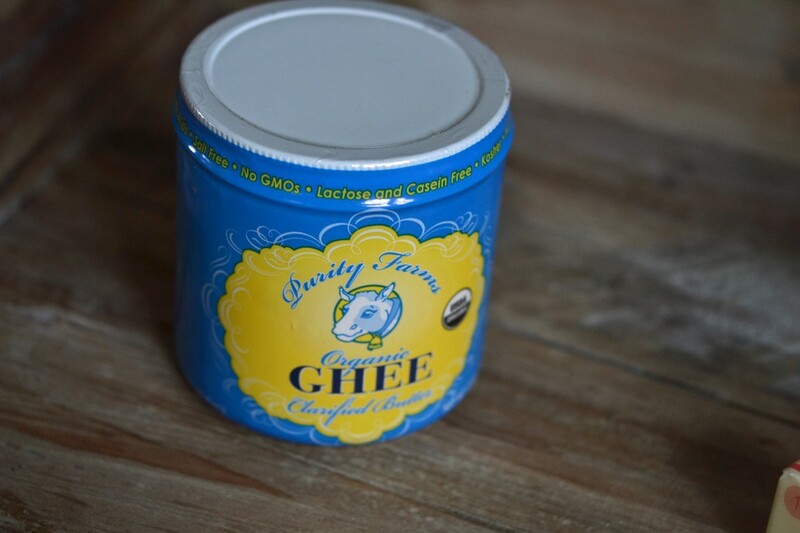 Ghee combines a relatively high smoke point (the point where the oil burns) with an amazing depth of flavor. It’s one of my very favorite culinary fats (what? you don’t have favorite culinary fats?). But it’s easy to swap out. And since most fats have 14 grams/tablespoon, it’s easy to make the switcharoo to butter, if that’s what you have. Or even to olive oil, although you give up the high smoke point when you do that. No biggie. Salt is crucial to both cooking and baking. Used properly, it both reveals and enhances the other flavors in the food we cook and bake. Even the sweetest recipes, like frosting, need a pinch. But use the wrong salt and you could ruin a whole recipe. What you see above is finely flaked sea salt. Sea salt is kind of a funny thing to name a salt, if you ask me. All salt is from the sea. But not all varieties of salt are equal. For baking, I generally use finely flaked sea salt and kosher salt interchangeably since they have a similarly-sized grain. And I know that some will disagree, but I maintain that table salt is not an okay substitute for kosher salt or finely flaked sea salt. Table salt has such a fine grain that a teaspoon of it will be much “saltier” than the same volume of a coarser grain salt. 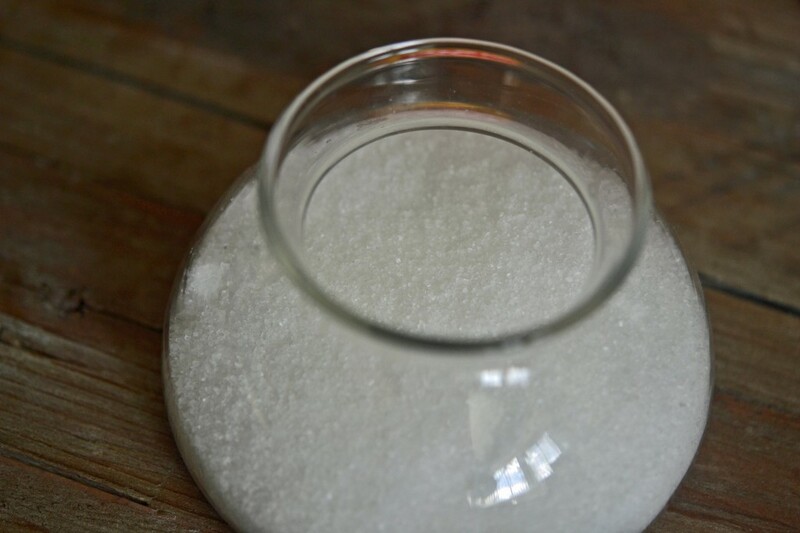 Similarly, regular sea salt has a much coarser grain than kosher salt or finely flaked sea salt, which not only changes the overall salt content, but it very likely won’t dissolve completely in whatever you are baking. Which means you might hear it *crunch* while you’re eating. I know. Ew, right? 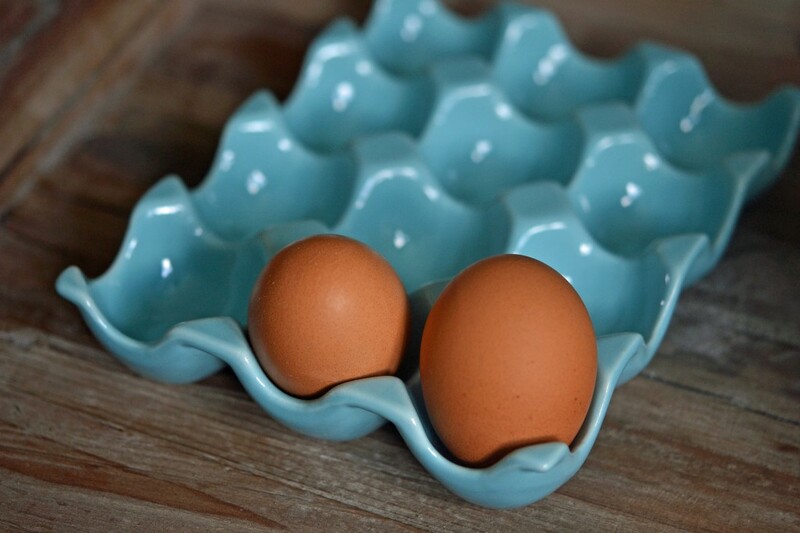 Another difficult substitution question – perhaps the hardest one of all – is eggs. I use eggs in all of my gluten-free breads. Like this Japanese Milk Bread baked in a proofing basket, or brotform. Often, all I need are the whites, but they really help provide structure by replacing some of the protein content that gluten provided. Many of you have asked me to try to develop some more egg-free recipes. But I love eggs! And I know it can’t be easy for those of you who are egg-free. So I will try. For you. Out of l-o-v-e. The Baking Ingredient Substitution Table from Joy of Baking is a good guide. I haven’t tried every substitution on there, but I have referred to it from time to time, mostly when readers have asked can-I-use-this-for-that. 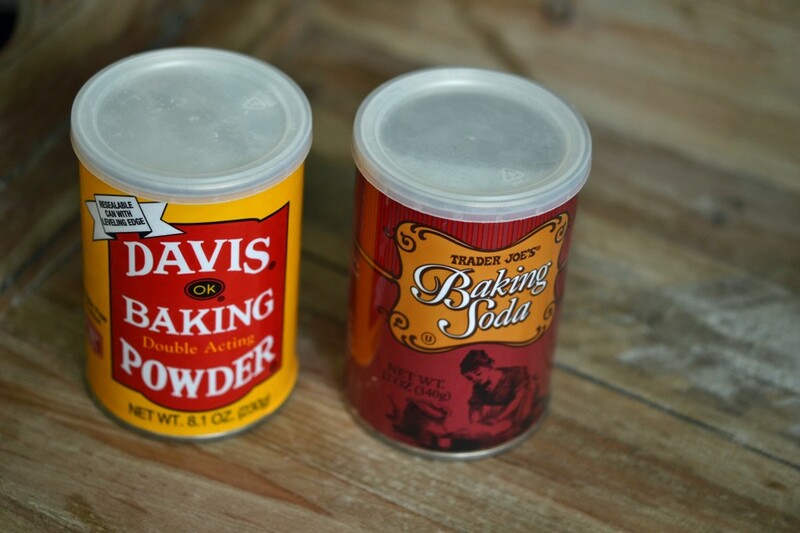 I also really like this Baking Ingredients and Substitutions post by David Lebovitz. Karina Allrich wrote at least one long post about ingredient substitutions. She does a lot of egg-free and dairy-free baking. Check it out. Heidi of Adventures of a Gluten Free Mom does a ton of allergy-free baking. And she’s got a lot of the science behind living gluten-free covered, too. Bonus! Go Dairy Free is a great source for, well, dairy-free recipes. And for my money, dairy-free is harder than gluten-free. We did it for a while, and it was, well, hard. Finally, go surfing! There are plenty more resources, waiting to be found. Then report back! Sharing is caring. I don’t know where to start! Your blog has been soooo helpful to me!! I am still relatively new to the Gluten Free/Dairy Free lifestyle and, really, I owe any successes that I have in the kitchen to you! You have always been so gracious about offering substitution suggestions, and I really appreciate your honesty and openness! Your ingenuity and encouragement inspire me to be creative and try new things! I am not always successful, but that is no-one’s fault, it’s just the way it is. Like you said, every ingredient matters, and in some recipes, there are no subs for certain ingredients. I have accepted this, so I usually try to avoid dairy-heavy recipes. I have had some good results replacing large amounts of butter(1 or more cups) with a blend of spectrum non-hydrogenated shortening, earth balance sticks, and extra-virgin coconut oil. But if a recipe calls for large amounts of butter, plus liquid dairy(heavy cream, yogurt, or sour cream), and cheese or something like whey powder or Saaco, then I realize that the chances of making something reasonably successful, are on the slim side. You are amazing Nicole, but I realize that you are only one person, and that you can’t be expected to have all of the answers to my substitution questions! As I said, I always appreciate your suggestions, but I would never hold you responsable if that replacement didn’t turn out just right! Again, know that your loyal readers appreciate all that you do for us -Go team Gluten Free! Most of us know that without your efforts, we would still be eating over-priced, pre-packaged, relatively tasteless foods, and missing all of our old comforts(‘Nilla wafers, Milano Cookies, ho-ho’s, etc). Thanks again, and yes, we do have your back!! Thank you so much for all the kind words, Sherry! And I’m so glad that you feel empowered. You seem to have a good handle on what you can and can’t convert successfully. Years ago, and for over a year, we were both dairy-free and gluten-free, and dairy-free was by far much harder. There just aren’t that many good substitutes as I wish there were. Keep on keeping on, though! Great post today. What more can I say that these other fine folks before me today haven’t already said. It looks as if we’ve all got your back. Thanks, JoAnn. :) I’m hoping that the more we talk about the subject, the more thoughtful readers will be about substitutions, and the more their expectations will be properly managed. A girl can hope! Oh, Deanne, you’re too kind. :) I’m far from the only blogger who has had this experience, unfortunately. But I’m hoping that if we talk about it openly, it will be easier to manage readers’ expectations. Then we can all get along very nicely, no brass knuckles required (but I’ll remember that offer just in case – you never know when a girl will need some protection!). We have to be egg free (they will kill my son) which is very sad for me as before this child was born I could eat 2 a day. Now we can’t have any in the house, can’t have any in products in the house and can’t have products that were made in a factory that processes eggs (you get the picture). This makes baking very very tough – and I would say more often than not things don’t turn out. I made a gf, df and ef brownie the other day and it was not so good – BUT mix a little on top of some soya ice cream and I am the mother of the year!!! I agree with the other readers – sub at your own risk. If you wanted to try some egg free things though – I would be forever grateful!!!!! On a positive note I finally found Better Batter where I live and am already to try a recipe out…… Hooray! Hello Nicole – great post! At 13 years old and trying to write a cookbook, this post and your blog should be a readily used reference ;). Like Jessica, I can almost never follow the recipe “to the T”, since no butter is used here (except the rare occasion when homemade goat butter is made). Recipes, for me, are more of an idea of what I want to make. Anyway, I’ve been following your blog by email for a good several months – thank you! I agree with the other commenters: substitutions come at your own risk. In fact, everyone should bake at their own risk as well. Even using a different brand of flour can change the recipe entirely, since the grind of the flour can be completely different. I tend to sub out a lot, but then hey – I’ve invented a new recipe! Baking GF is different than regular baking which I found to be reasonably forgivable. I always try to follow the recipe exactly and then make modifications to my taste or perhaps I want to experiment. If you add in other allergy issues it must be even more difficult. Hats of to you folks. 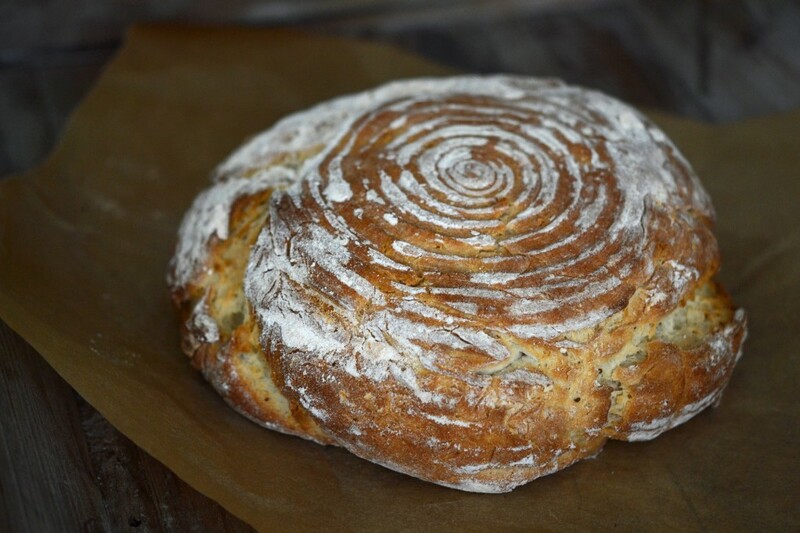 If I had to try and change my old gluten recipes to GF ones, I would never leave the kitchen. I am so thankful for this blog and you Nik. Sometimes I forward your blogs to my husband because they are so damn funny. A sense of humor, GF know-how, and trusted recipes….a true keeper in my book. That’s definitely the best policy, Kristi. If you are going to make substitutions, don’t let it be the first time you make the recipe – if at all possible. Baking GF isn’t really less forgiving than conventional baking. 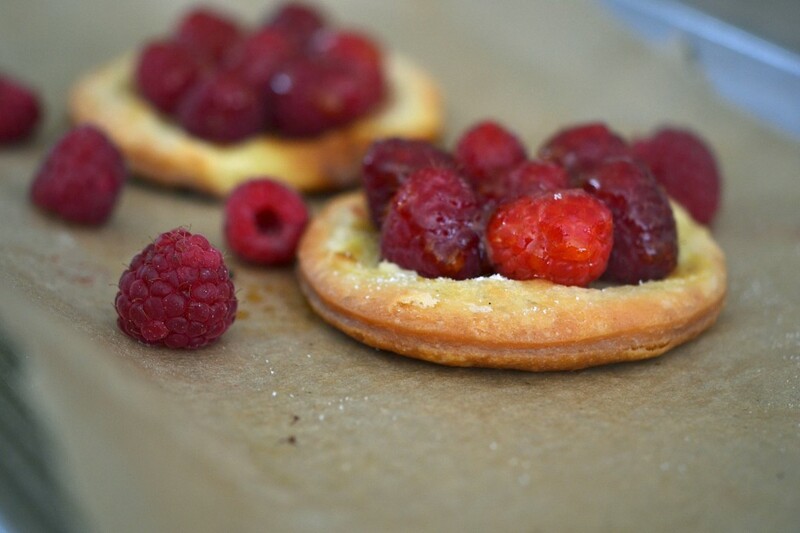 It’s just that you had years of experience to rely upon with conventional baking. GF is like the wild, wild west! I am a notorious recipe meddler. Can’t leave one alone, but I almost always make it the first time as written to get a feel for it. And since becoming GF, I have started following recipes more closely since it is such an exact science. BTW, I can’t thank you enough for your Thick and Chewy Chocolate Chip Cookies!!!!! Made them last night and stuck to the recipe with the exception of using fewer chocolate chips (family preference) and they are AMAZING!!! Freezing the dough before baking made all the difference since I live in a very hot climate. Thanks for what you do! I also agree. All changes are your own choice. Then you become the recipe tester for what’s basically a new dish. I agree with Jessica and Katy! Excellent post. I’ve wanted to switch to a good sea salt. (using a national brand that shall remain nameless) What brand of “finely flaked sea salt” are you using? The only time I think it’s truth worthwhile to spend a lot of money on salt is for finishing salts, like fleur de sel, that you don’t use in food, but rather on food. Otherwise, that national brand is probably perfectly fine. If you want to get a little fancier for a good price, I would check out Penzey’s salts, and concentrate on the finer grinds. I agree with Jessica, once you make a sub it’s all on your own head if the recipe fails.